The Packard Plant bridge the morning after the collapse. The historic Packard Plant bridge over East Grand Boulevard in Detroit collapsed the afternoon of January 23. The Packard Plant was built in 1903 and stopped producing cars in 1956. The bridge, which was built in 1939, had in recent years become a famous landmark, especially for photographers of urban ruins. 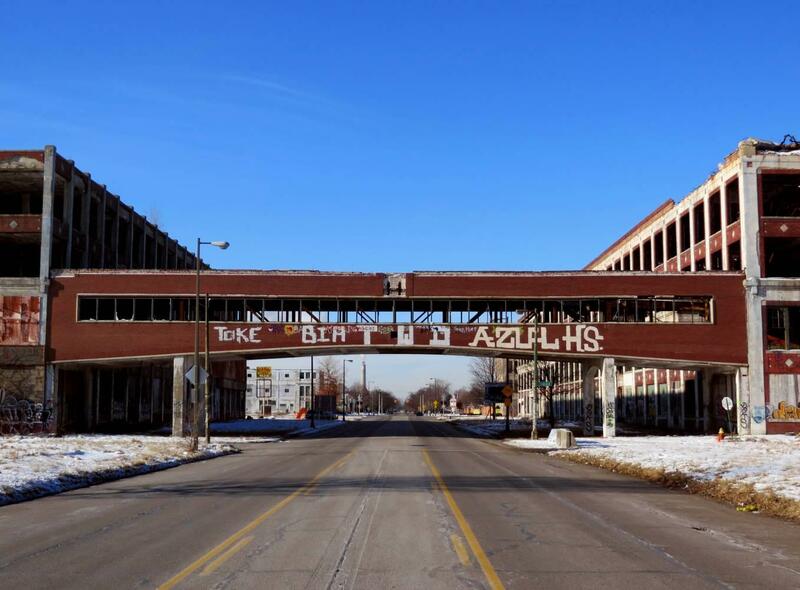 The Packard Plant bridge has become a symbol of urban ruin in Detroit. Joe Kopietz, a spokesman for Arte Express - the company that now owns the building, told The Detroit News that bricks had fallen earlier in the day. He also indicated that the abrupt changes in temperature might have exacerbated a "preexisting structural issue." Temperatures across the state had been in the negative degrees before hitting a high of 42 degress Fahrenheit on Wednesday. The Packard Auto Plant was designed by famous Detroit architect Albert Kahn. The bridge was built of brick and concrete, and housed an assembly line before the plant ceased production. In December 2013, Spanish investor Fernando Palazuelo purchased the structure for $405,000 with plans to do major, multi-purpose redevelopment of the structure. The bridge has been closed to the public in recent years due to fears of structural intergrity. The plant was in the news earlier this month after a man was believed to have fallen to his death in an elevator shaft. Crews began clearing the collapsed bridge the next morning.